Jacques Cousteau rated three of the dives on Vancouver Island in the top ten in the world. When properly prepared with a drysuit and the right exposure protection, many people prefer the diving on Vancouver Island to diving in tropical places like Mexico, Hawaii, Indonesia and Australia. As the water gets colder, more oxygen and nutrients are in the water. Couple that with the strong currents in the Strait of Geoergia, and other passages on the Island, and it makes for some of the most diverse and dense sea life you may ever come across. At places like Victoria's Ten Mile Point or Port Hardy's Browning Pass there is is so much life on the wall that there is not a single place you can put your finger without squishing something. Ten Mile Point is highly touted as Victoria's best shore dive - and it certainly is - but it is no where near the caliber of a dive as Browning Pass. Many people hear about the big life that Vancouver Island diving has to offer such as sea lions, seals, giant pacific octopuses, wolf eels and six-gill sharks, but there is also a diverse complement of "macro" (small) life. This includes things like nudibranchs (sea slugs), sculpins, stubby squids, hydroids, anemones and the like. The stunning purple, orange and red colours of these critters make for unbelievably vibrant photos. BC is also known for its "kelp forest" diving. 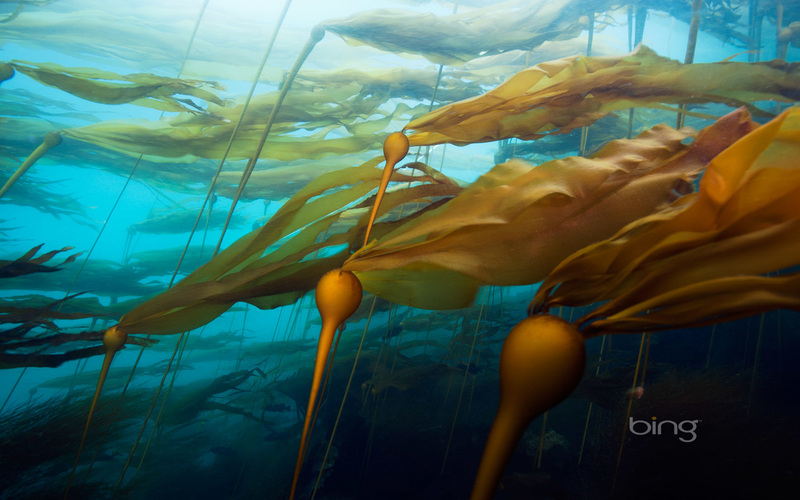 When the visibility is good, nothing is more breath taking than looking up at the sun from the shallows amidst a kelp forest. BC is also known for its artificial reefs. The Artificial Reef Society of British Columbia has been sinking decommissioned ships and even a Boeing 737 airplane for nearly three decades. 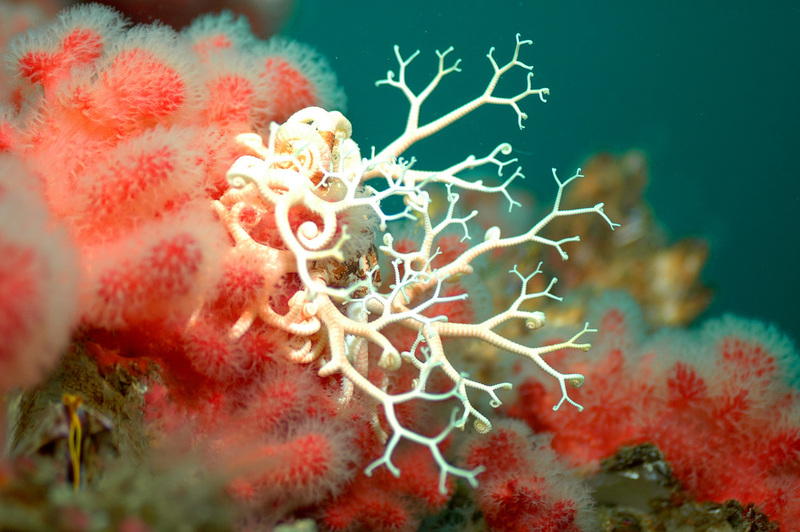 Established artificial reefs like the HMCS Mckenzie, HMCS Saskatchewan and the 442' HMCS Cape Breton are covered in a sea of plumose anemones and a diverse range of nudibranchs. For the more technical oriented divers, there are several cut aways in the ships to allow for easy penetration and exploration. More recently, the HMCS Annapolis was sunk in Howe Sound (Vancouver). The only larger artificial reef outside of BC is the USS Oriskany - an 888' long aircraft carrier in Florida. Sea Lions at Race Rocks. Photo credit: 5 Star Whale Watching. Click to view website. Bull Kelp Forest in Browning Pass, Port Hardy. Photo credit: wordpress. The club frequently plans trips to Barkley Sound (six gill sharks! ), Hornby Island (sea lions!) and Port Hardy (simply the best! ), as well as other day charters out of Victoria and Nanaimo to places like the artificial reefs (wrecks charters) and Race Rocks on the southwestern most tip of the Island. We also do open water oriented charters that anyone can participate in in the Saanich Inlet as well as Arbutus Island by the Swartz Bay Ferry Terminal and the 175' GB Church artificial reef which sits within open water depth limits. 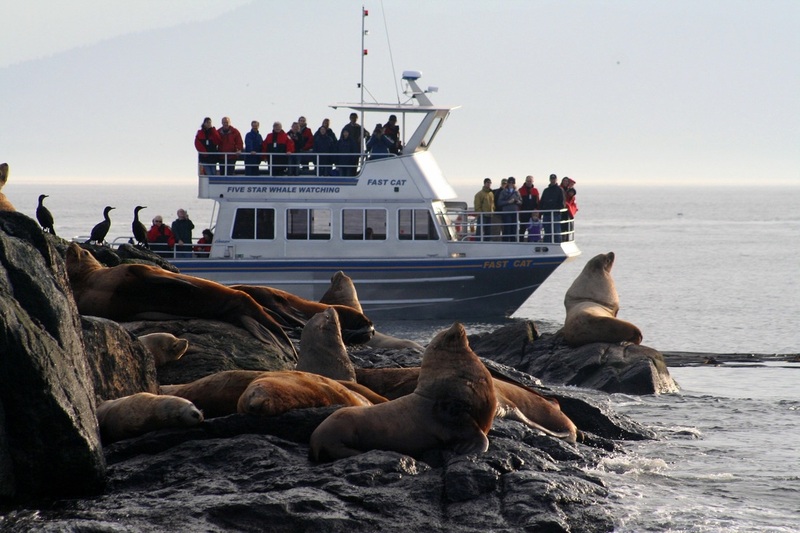 The club also hosts dives all over Victoria including Sannich Inlet, the aforementioned ﻿Ten Mile Point﻿, and Victoria's most popular dive site, Ogden Point. HMCS Annapolis just before sinking in April 2015. Scuba Dive BC Video - A "Must Watch"